I love this time of year, spring is sprung, baby lambs are cute and fluffy and birthday parties for little ones can become cute little teddy bear picnics! The trouble with birthdays is knowing what to get as a present, something that the child will love and parents will appreciate. I once got my niece a toy mobile phone, she loved it. And whilst her parents appreciated that she was occupied, the noise drove them bonkers! 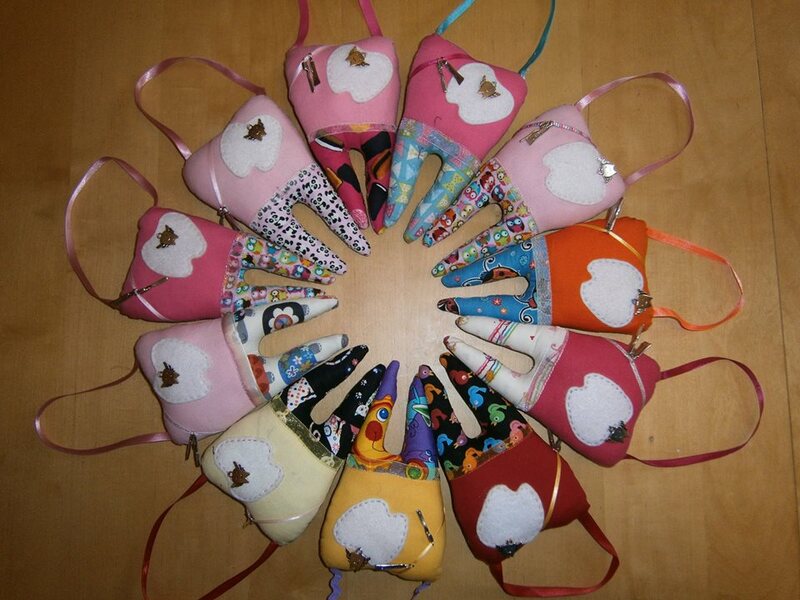 Tooth Fairy Pillows – made by Trinity and Tegan (who can be found here on Facebook). Each pillow is comprised of different materials and patterns, ranging from owls and ladybirds to trains and traffic signals. I have even requested a couple of designs specifically with certain animals in mind for particular children. Each child has loved getting the little pillows, even when they are too little to appreciate the Tooth Fairy yet, they still love the designs. And Mums (more so than Dads) have loved the idea of something so simple, and yet engaging, for one of their children’s milestones. Ordering with Trinity and Tegan is really simple via Facebook and they are so lovely to talk to. I have also found them to be helpful if you are looking for something particular. They do have other items on their order books, including candles and catnip mice and I hear a little juicy little titbit that they will be introducing an exciting new product range in the coming weeks. So, I highly recommend looking into this little online boutique for charming gifts for friends and family.